Wow… it is exciting to think this event has been gaining popularity for almost thirty years! People come from great distances to cross country ski, snowshoe or drive from inn-to-inn along the trails of our 45 KM network to enjoy the spectacular scenery, warm hospitality, and great chocolate treats at stops throughout the network, most located along the trails. Known by many as the ‘Sweetest Day on the Trails”, this may be the only day of the year when chocolate indulgence is totally guilt-free! Chocoholics cross country ski or snowshoe the trails to enjoy chocolate prepared every way imaginable. Many return year after year to enjoy the Chocolate Festival, often returning with a larger group of friends each time! 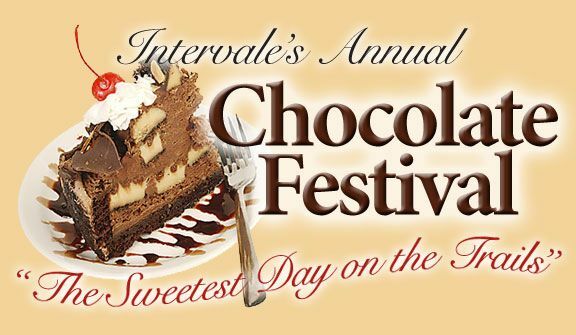 Trailside businesses prepare a variety of goodies from hundreds of pounds of chocolate! This New Year’s Eve, King Pine invites families to ring in the New Year with an evening of skiing, riding, music and fun – complete with torchlight parade and fireworks! Moonlight 4 Pack available – 4 friends or family get 4 night lift tickets for only $66! Night skiing and riding from 4 p.m. – 9 p.m.
Torchlight parade begins at 9:00 p.m. – first 100 people meet at 8:45 p.m. at the top of the Open Slope. Skiers MUST be able to ski an intermediate Blue Square trail in the dark!Hi-intensity glow sticks will be used. Fireworks to follow torchlight parade at 9:20 p.m.
Toast to the New Year at the Trail’s End Tavern! 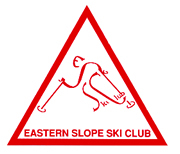 NORTH CONWAY NH – 47th Annual Eastern Slope Ski Club Ski Sale set for Nov. 10th & 11th. The Eastern Slope Ski Club (ESSC) will be hosting its 47th annual gear sale at the (NEW) North Conway Community Center on Friday, November 10th (3pm-8pm) and Saturday, November 11th (9am-12pm). Plan on dropping off your clean and ‘modern’ Alpine, Cross Country and Snowboard gear you’d like to sell at the North Conway Community Center on the evenings of Wednesday, November 8th and Thursday, November 9th between 6pm-8pm. Each item requires a tag ($1 each), which will be available for purchase when you are dropping items off. Or, you can save time and buy them soon at Bob and Terry’s Sports Outlet in North Conway. All unsold items (and proceeds from your sales) MUST be picked up at the Community Center on Saturday, November 11th between 4pm-6pm. PICK-UP IS ON A NEW DAY AND TIME, please take note. Anything NOT picked up will be considered a donation, and all proceeds from the sale will benefit the ESSC. Questions? Message us on Facebook for a quick response! JACKSON NH – The White Mountains of New Hampshire are world renowned for the array of skiing opportunities offered to every skier, from beginner to gold medal Olympian. Today over a dozen resorts entice tourists and locals each year with their well-manicured trails, high-speed lifts and slope-side lodging. But scattered throughout this region, the ghosts of former ski areas can still be found. In the White Mountains alone, sixty ski areas have closed since the 1930s. 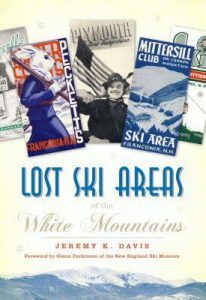 Author Jeremy Davis has compiled rare photographs, maps and personal memories to ensure that these beloved ski outposts, cherished by generations of skiers, are given recognition for transforming the White Mountains into a premier ski destination. Join us as we celebrate these former ski areas at this presentation. Attendees are encouraged to bring along their skiing momentos, photos, and stories to share. 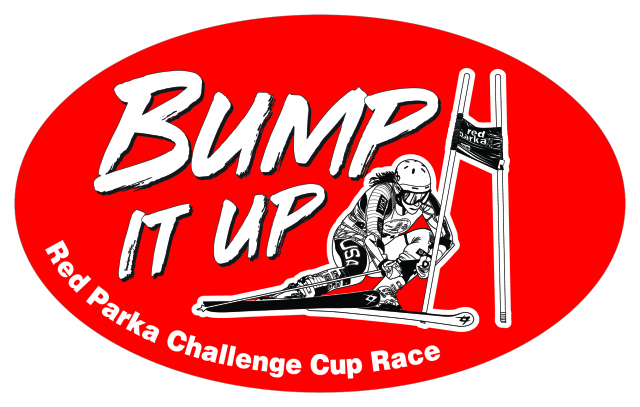 BARTLETT, NH – Racers get ready for the 43rd Annual Red Parka Pub Challenge Cup to support the Eastern Slope Ski Club, taking place at Attitash Mountain Resort on Friday, March 18. 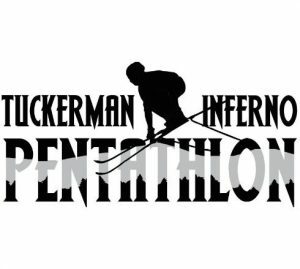 NORTH CONWAY NH – The Hannes Schneider Meister Cup is unlike any ski race in history. It combines the best of skiing today with the warm nostalgia of yesterday. It honors the founding father of ski instruction, Austrian Hannes Schneider, who brought his world-renowned skills to North Conway and Mt. Cranmore in 1939. Schneider introduced skiing fun and excitement to millions around the globe. PINKHAM NOTCH NH – Experience the wonder of a night time winter walk. Join an Appalachian Mountain Club Naturalist on a guided snowshoe walk. We will use our senses (and no flashlights) to navigate the trails while listening for owls calling and exploring our senses.